Thunder was from Taraus' last litter. 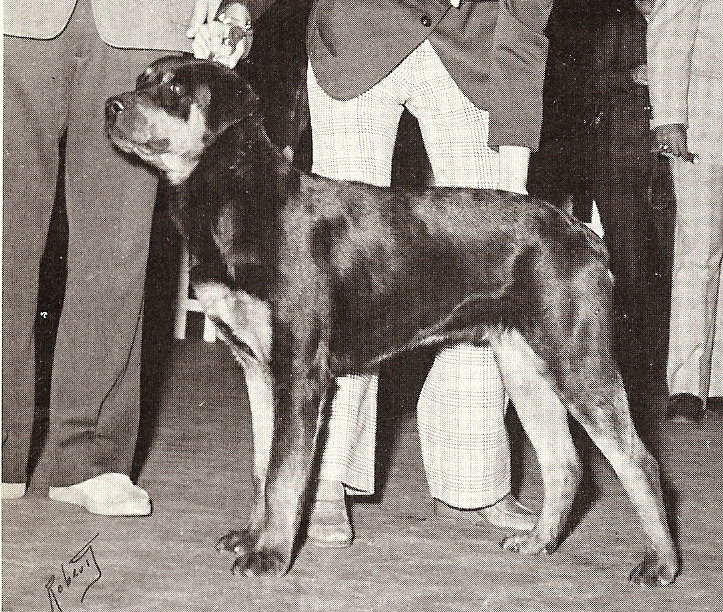 Pictured here winning the 6-9 month class at the WRO supported Golden Gate Kennel Club show. A dog of 13 months, still in the stage of development. Otherwise well proportioned, good size, good bone. Good head form which should be stronger in the muzzle. Small ears set on high to the side. Dark brown eyes. Adequate coat and coloring, back firm for his age. Rear movement should be more farreaching. Shoulders must still firm up. Rear angulation adequate.